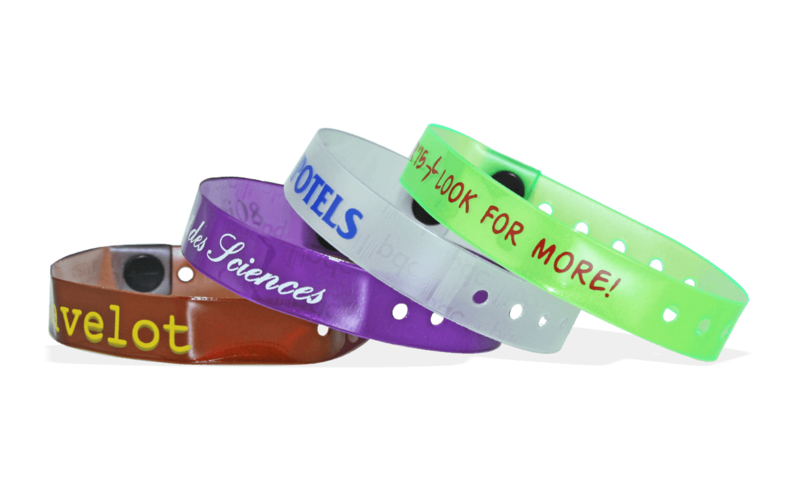 Our ClearImage® 13mm vinyl wristbands are also waterproof, so they can be used for indoor/outdoor events and swimming pools. Treat your guests to tasty colors like Mango Melon, Strawberry, Candy Apple, and Lemon Drop with our ClearImage® 13mm vinyl wristbands!They will love the translucent look of ClearImage® wristbands and enjoy the security and durability they provide. All imprints are printed in 1-colour only.